At the start of this poll season, two of India's political parties showed the way in giving women adequate representation in a country where women constitute 48.53 percent of the population. However, the ruling Bharatiya Janata Party has been disappointing on that accord, at least on the basis of its first list of candidates. A party that pretty much started the trend of micro-managing elections, BJP has failed to weave in adequate representation for women in its strategy of fielding candidates on the basis of 'winnability'. The party revealed 184 names in its first list of candidates for Lok Sabha, but it contains only 22 women, keeping the overall representation of women at less than 12 percent. The party has, however, refielded some of its well-known women leaders from their constituencies, including Union minister Smriti Irani and Mathura MP Hema Malini. 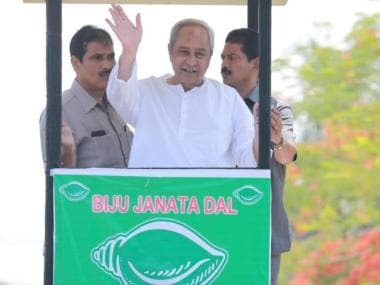 This is in complete contrast to what BJP's sworn rival West Bengal chief minister Mamata Banerjee has managed to do, or what Biju Janata Dal leader Naveen Patnaik achieved. 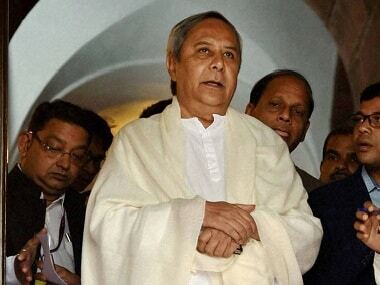 The move might as well be a strategic political ploy to woo women voters, but Patnaik did declare that he would allot 33 percent of the BJD's tickets to women, while Mamata's Trinamool Congress assigned 41 percent of the party's Lok Sabha tickets to women. This is not to say that these two parties are harbingers of adequate and equal representation of women; there idea of women's representation is shallow and problematic in its own ways. But the fact that a national party like the BJP, which boasts to be the world's largest party with 8.8 crore primary members, has failed to even fake enthusiasm to include women in leadership roles is disappointing. At 11.41 percent, the share of women candidates in BJP's initial 184 is discouraging enough. But a closer look at the women candidates the party has floated is a rude reminder that the women our polity allows to assume greater roles are either appropriating the legacy of a male mentor (or family member), or they were incidentally inducted in politics because they were known faces in an alternate profession. This is no comment on the political capabilities of women leaders thus inducted, but rather a sad reflection that the choice of women candidates in Indian politics more often than not comes from a dynastic imperative. To be fair, the existing system has given us some astute women politicians (the likes of Indira Gandhi and J Jayalalithaa), but it also means that given the reluctance to field more women, it chips away on the space that could possibly be claimed by grassroots leaders with humble beginnings. The BJP has fielded firebrand leader and Union minister Smriti Irani from Amethi, a constituency she lost to Rahul Gandhi in 2014. But Irani was a known face largely in urban middle class homes (which BJP considers it core vote bank) owing to her successful career as an television actor. Her political astuteness was an incidental discovery for her party, and a result of her own persistent labour. Bollywood superstar of yesteryears Hema Malini has also again secured a ticket from her traditional constituency Mathura. Malini was an honorary member of the Rajya Sabha from 2003 to 2009. In 2010, she became the BJP's general secretary, and late Ananth Kumar recommended her as the party general secretary in 2011. She won the 2014 general elections from Mathura constituency during the Modi wave. However, Malini, who still keeps busy as an artist, has an abysmal attendance in Lok Sabha at 39 percent, which is much below the national (80 percent) and state (86 percent) average. According to her own account, her entry into politics was a tryst with destiny and largely on the insistence of late actor-turned-politician Vinod Khanna and former prime minister Atal Bihari Vajpayee. "Atal ji thought it would be a good idea for me to join the BJP and campaign for the party. He sent me a message through my dear friend and co-star Vinod Khanna, who encouraged me to join politics. But I was not sure. I told my mother about my misgivings. ‘How can I give political speeches? I know nothing about politics,’ I said. But my mother was very fluent in Hindi, and she wrote out my first political speech. I just memorised it, and that's how I entered politics," Malini told The Asian Age. Sanghamitra Maurya, the daughter of BSP turncoat Swami Prasad Maurya, also got a ticket from Badaun. Her father had entered BJP just before the 2017 Assembly polls. Reports claimed that he wanted to launch his daughter in 2017 itself. However, the plan did not take off. Now, the party has fielded his daughter in Lok Sabha to balance the caste metrics. 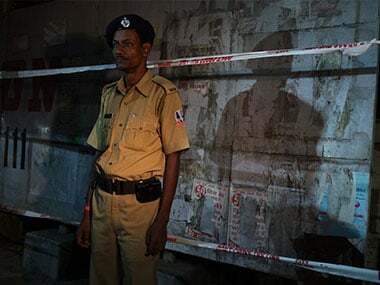 Raksha Nikhil Khadse, who is a sitting member from Raver constituency, is the daughter-in-law of BJP stalwart Eknath Khadse and the widow of his son Nikhil Khadse. DK Aruna, who has been fielded from Mehboob Nagar, is the daughter of former Congress MLA Chittem Narsi Reddy. She contested in the 2004 Assembly elections on a Samajwadi Party ticket and won with a huge majority. She, however, switched to the Congress in 2009 and continued her winning streak until the recent Assembly Elections. She switched over to the BJP just a few days ago. Late BJP leader Gopinath Munde's younger daughter Pritam Gopinath Munde has been given ticket from Beed constituency and Pramod Mahajan's daughter, Poonam, has been nominated from Mumbai North Central. Mala Rajyalakshmi, who will contest from Tehri Garhwal seat, hails from the Garhwali royal family, while Sreerupa Mitra Chaudhary, the contestant from Malda South, is a former journalist and an ex-TMC member; Bharti Ghosh from Ghatal in West Midnapore, also a former Mamata loyalist, is a former IPS officer. Locket Chatterjee, a Bengali actress-turned-politician is the nominee from Hooghly. She too had joined BJP in 2015 after quitting TMC. Other women leaders fielded by the party are Queen Ojha, a former mayor from Guwahati and Renuka Singh, a firebrand grassroots leader in Chhattisgarh who got the ticket from Sarguja. Gomti Sai got the ticket from Raigad and Debasree Chaudhuri is fielded from Rajgunj. The highest number of women candidates fielded by BJP are in West Bengal — which is a total number of four women, followed by Uttar Pradesh and Maharashtra with three women candidates. In Chhattisgarh, Odisha, Kerala and Telangana, BJP’s current list contains two names in all these states each. Assam, Karnataka, Tamil Nadu and Uttarakhand have one woman candidate each from the BJP. This is despite tall claims from BJP Mahila Morcha president Vijaya Rahatkar, who said that of the 12 crore members of the BJP till last year, three crore were women. And yet party leaders could not find enough able leaders to give 33 percent tickets to women party workers. However, BJP alone is not at fault here. 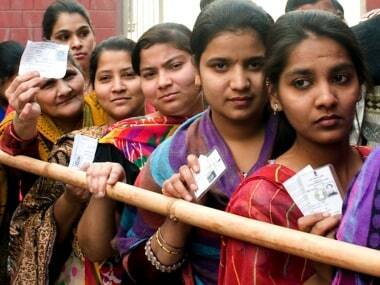 The trend of poor representation of women is deep set in the traditions of Indian polity. There are 64 women in the 542-member Lower House and 27 women in the 254-member Upper House. In the elections that preceded the upcoming ones, 8.1 percent of the tickets had been given to women. Worldwide too, women account for less than seven percent of the world's leaders and only 24 percent of lawmakers, according to the latest statistics. But when smaller parties like TMC and BJD set an example, national parties like BJP are expected to pick up the trail with even more gusto. But politicians seem content with inducting women as foot soldiers at lower levels to help fetch them votes.